Last Wednesday, I was invited to represent Democrats Abroad and the Democratic Party by participating in a black-tie debate at the Oxford Union. My colleagues in the debate included two students and a don. We would propose the motion, “This house believes Hurricane Katrina blew away the myth of US racial equality.” I was pleased to learn that one of the students on our side, Christopher Shuler, was born in my home state of Tennessee. The opposing team consisted of two students from America and two journalists from the News International empire of media mogul, Rupert Murdoch. 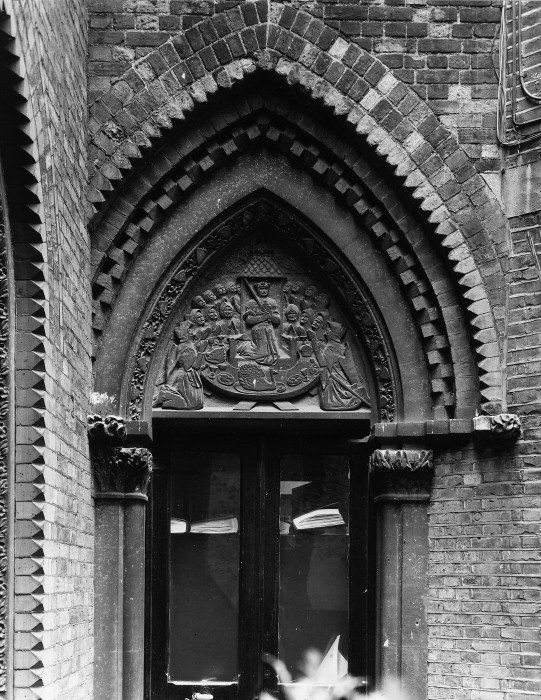 The Oxford Union was formed in the 1820s by the students of Oxford, who wanted their own separate and sovereign organization which would allow them to debate topics like atheism that were prohibited by the University. The venerable Union building is located between Frewin Court and St. Michael’s Street in a prime location in central Oxford. I was pleased to note that it has been undergoing a sort of renaissance over the past few years, and it looks far better today than at any time in my recollection over the previous 21 years. On Thursday evening we assembled in the Gladstone Room at the Union for drinks before dinner. I met my colleagues and some of the Union officers. At dinner, I was seated between the President, Sapana Agrawal and the treasurer, Ed Mason, and across from the Secretary, Kate Spooner. The Oxford Union is a proving ground for the political leaders of the future. Presidency of the Oxford Union often leads to a high-level career in politics. For example, Benazir Bhutto was president of the Oxford Union before becoming President of Pakistan. Five prime ministers of Britain have been Union presidents: Gladstone, Salisbury, Asquith, MacMillan, and Heath. The rhetorical skills of a master politician are honed by participation in the Union debates. From my perspective, it would not be surprising if, in the future, Sapana Agrawal and her colleagues involved in the Union become prominent in politics. All of the Union officers whom I met were impressive, concerned and engaged with the need for dynamic and progressive political change. Meeting the group of young political leaders involved in the Union and Isis magazine was one of the most inspiring experiences of many in recent years which have been dominated by a seemingly unending concatenation of increasingly dire political developments. After dinner, we filed into the Debating Chamber where we took up positions on opposite sides of the despatch box. After several salient words of wit and wisdom from Madame President, the debate began. Highlights of it included the opening statement for our side by Christopher Shuler. Impassioned, informed and implacable, Christopher laid out an airtight and compelling case for the proposal. I predict great things from Christopher in the future. Christopher is the Editor of Isis, the most popular and respected student publication in Oxford. Dr. Steven Tuck, a top-ranking academic expert in racial prejudice in America, delivered a telling account of the realities of racial inequality in America, and he did so with great wit and charm making his statement all the more effective. Fraser Campbell is a fellow at All Souls College, one of the most prestigious academic appointments in the world. He summed up our arguments with the brilliant style, wit, and aplomb of a master rhetorician. Frazer is a Past President of the Union, and I foresee a stellar career in academia or government unfolding smoothly before him. The assignment of a passionate deconstruction of the myth of racial equality in America fell to me. Our opponents were extremely formidable. Two students who are internationally recognized debating champions from Lewis & Clarke University, Keith West and Paul Bingham, did admirable jobs of articulating their case. Gerard Baker, the American editor of The Times (of London) who has been based in Washington, DC for the past decade produced a powerful statement for his side. Taki Theodoracopulos – the international celebrity-journalist and editor of The American Conservative – regaled us with his wit, charm and a devastating delivery of his attack on our arguments. After the debate, we filed out to a drinks party in the Gladstone Room and awaited the results. I had the opportunity to thank each and every member of the opposition for their massive contributions to the debate. Keith West and I had a chat about his interests in the law and the degradation of religion in America by the fundamentalist right. I met Christopher Shuler’s parents who arrived a few days before the debate from their home in Nashville. It was an ebullient occasion, and I was delighted to meet so many members of the Union who expressed their support for our side. The final tally was 139 in favour and 115 opposed. By my reckoning, the twelve to fifteen honourable members from racial minorities tipped the scales in our favour, and if they had not been present, the whites would have been nearly deadlocked. My speech proposing the motion is reproduced below. Speech of Michael Carmichael before the Oxford Union, 16th February 2006. Madame President, honourable members, distinguished guests, friends - there is some overlap between those groups - I stand before you tonight as an American citizen who loves his country. I love America because of the ideals enshrined in her core documents: the Constitution, the Bill of Rights and, yes, the Declaration of Independence. America was founded on the principle of constitutional democracy, and it offered hope for a better future than the absolutism and autocracy of the old world. It must be said, that while the United States has made a great deal of social progress, it has not fulfilled its mission – far from it, for racial inequality still haunts the heartlands of America. Speaking as an eyewitness to the Jim Crow Era of apartheid and ethnic cleansing in American history, I must tell you that I have witnessed African-Americans moved to the backs of buses. I have seen separate and decidedly unequal toilet facilities for racial minorities. I have seen separate but unquestionably unequal schools for racial minorities. I have seen separate but unequal health and hospital facilities for racial minorities. Worse still, when I worked in government, I have seen continuous streams of reports of police killings of hundreds of racial minorities who were shot by Southern police officers allegedly for ‘resisting arrest’. 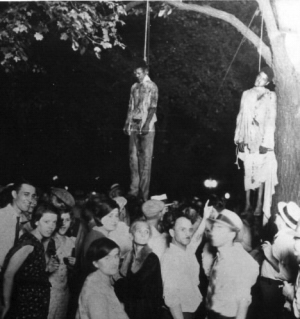 I lived in the United States of America when the act of lynching was still legal in parts of the Deep South. While lynching became illegal in 1968, it is still practiced by white supremacists in many parts of America. I was born in Memphis, near the precincts inhabited by the characters in William Faulkner’s novels, and I lived in the South for most of my life. As a son of the South, I was indoctrinated, inculcated and acculturated with the traditional tempos and rhythms of elitism, religion, and racism that permeated the Bible Belt. African-Americans, Native Americans, Asian Americans, Creoles and Mulattoes were all deemed to be racially inferior to the supreme white race. Sadly, I must report to you that those attitudes of racial prejudice in America are still exactly the same today – as vividly revealed by Hurricane Katrina. While the civil rights movement led by Dr Martin Luther King eventually resulted in the passage of the great civil rights legislation of the 1960s, it did virtually nothing to dispel the racism that palpitates within the heartlands of America. When Hurricane Katrina struck New Orleans, the mayor, Ray Nagin, himself a black Republican, appealed for federal assistance. In a striking development, only three days ago on Monday the 13th of February, Ray Nagin appealed for foreign aid to assist the rebuilding of the city of New Orleans. Mayor Nagin made his appeal directly to the governments of France and Jordan because aid from the right-wing Bush-Cheney White House – aid from America - has been withheld for the rebuilding of New Orleans and the support of hundreds of thousands of its dispossessed citizens – the majority of whom are racial minorities. Racism is something we don't like to talk about, but we have to acknowledge it, and the world saw the effects of American-style racism in the drama as it was (played out) by the Katrina survivors. While their testimonies are alarming, what Mrs. Thompson and Representative McKinney did not say about racism in America is even more appalling. With over two million people existing behind bars in lock down cells, America’s prisons are inhabited by the largest population of inmates in the known universe. Even though African-Americans make up only twelve percent (12%) of the general population, forty-four percent (44%) of the prison population are black. Three percent (3%) of the total population of African American citizens are now serving time in America’s prisons. Three percent (3%) of a racial minority population in prison is an outrageous figure, but while that figure is shocking, it gets worse - for in many regions in America, nearly fifty percent (50%) of the black male population have criminal records. And it gets worse. Surpassed only by China and possibly Iran, America has one of the highest death row populations in the world with more than 3,000 prisoners awaiting execution right now at this very moment. Fifty-five percent (55%) of the death row inmates in America are racial minorities, and the vast majority of them are black. Perhaps, these facts are not really that surprising after all, for America is a nation where racial profiling is enshrined universally as an acceptable police procedure. Contemporary America is a culture where the racial majority - the white working and middle classes - are imprisoning racial minorities. Worse still - America is a culture where the white racial majority is systematically executing its black and tan racial minorities. Racial inequality, bigotry, and prejudice are blatant facts of American life. I wish that it were not so, and I am working toward the day when the darkening stain of racial inequality will fade away into the mists of time. Madame President, thank you for inviting me to address the motion that is before the house this evening. Since 1968, Michael Carmichael has been a professional political consultant. Beginning as a Student Coordinator for Robert F. Kennedy, he has worked in five US presidential campaigns as well as over 100 major American political campaigns for federal and state offices. In 1985, he founded The Oxford Centre for Public Affairs in the United Kingdom. In 2003, he founded The Planetary Movement Limited, a global public affairs organization based in the United Kingdom. He has appeared as a public affairs expert on the BBC, European Business News, NPR and many European television broadcasts examining American politics and culture.